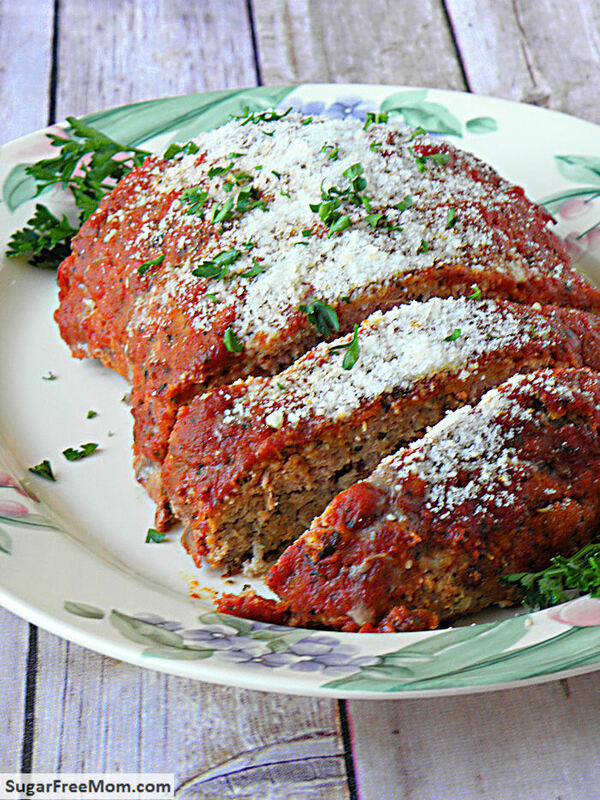 An Italian Meatloaf using the new McCormick Perfect Pinch Italian Seasoning blend is a winning recipe the whole family will love! When I saw an opportunity to make an Italian Meatloaf recipe from McCormick.com to try out their new seasoning I jumped at the chance. My family loves meatloaf so I knew this would be an easy meal they’d all enjoy, even the picky ones. 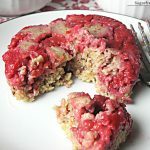 The meatloaf recipe currently on my blog uses tomato sauce and rolled oats in the mix so this recipe was only a slight change for the family and not something they would balk at. This recipe from McCormick is fabulous as is, but I did make three changes. First I used a gluten free bread to make my own breadcrumbs and I substituted ground turkey for the beef in the recipe. I also decided to use garlic salt instead of the separate salt and garlic powder in the recipe. Other that that, everything else was the same! On the side is some slightly wilted spinach and cherry tomatoes in a little olive oil. 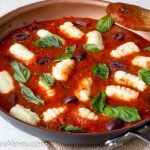 Easy and tasty for a weeknight family meal! I decided a little instagram video was in order for you to see the final product deliciousness! 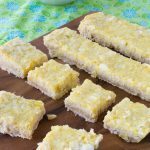 This recipe was given rave reviews from the hubby and all three of my kiddies! Mix together turkey, breadcrumbs, 1/4 cup Parmesan, egg, 2 teaspoons of McCormick Perfect Pinch Italian Seasoning and remaining seasonings. Shape into a loaf and place on a shallow baking pan. In a small bowl stir together tomato sauce and 2 teaspoons McCormick Perfect Pinch Italian seasoning. Pour sauce over the meatloaf. Sprinkle with 1 tablespoons Parmesan cheese once out of the oven. 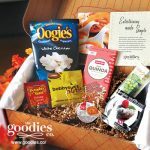 McCormick is also generously offering a Homemade in America contest that let’s one of my readers receive a McCormick Gift Set! All you have to do to enter the contest is leave a comment telling me your favorite McCormick spice or which McCormick recipe you are interested in trying!! Winner will be chosen randomly by random.org. Contest will end Monday October 21, 2013 at 12:01am EST. 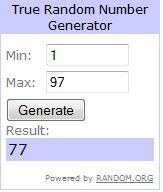 The Winner has been chosen by random.org. You have 24 hours to confirm via email or another winner will be chosen, thank you to all who participated! My favorite McCormick seasoning is the Thick and Zesty Spaghetti seasoning! I love the slow cookers barbeque. The reciepe for your turkey reciepe looks like something I would like to try. I love anything garlic from them! I love Cumin. I use it every week! Those slow cooker seasonings look delightful! I use their garlic powder and onion powder in EVERYTHING that doesn’t contain sweetener ! My family LOVES meatloaf. I can’t wait to try your meatloaf recipe ! I love the McCormick garlic powder, since I am on a low salt diet. 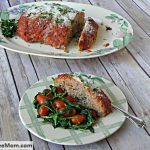 The Turkey meatloaf with the Italian deasoning looks great! I love cumin, garlic, italian blend. I would really like to try the mexican blend. I have never seen that in the stores. My favorite spice is the garlic powder! I love garlic, use it in a lot of dishes!! My favorite McCormick seasoning is the lemon pepper seasoning which I use to make lemon pepper chicken breast! I love lemon pepper! So good on veggies!! I’ve always wanted to try Perfect Pinch® Salt Free Original All-Purpose Seasoning (I’ve seen it in various recipes) but I never find it in stores! Lemon pepper is a favorite. I want to try this meatloaf. But I cook for 1. Can it be be halved or quatref without ruining it? We use all the McCormick spices, but we probably use Garlic Powder the most! I love their perfect pinch spices! 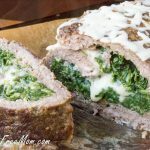 I am going to try this turkey meatloaf recipe! I absolutely love McCormick seasonings. I’m looking forward to getting the Italian seasoning to try this meatloaf recipe. Love the McCormick italian seasoning! 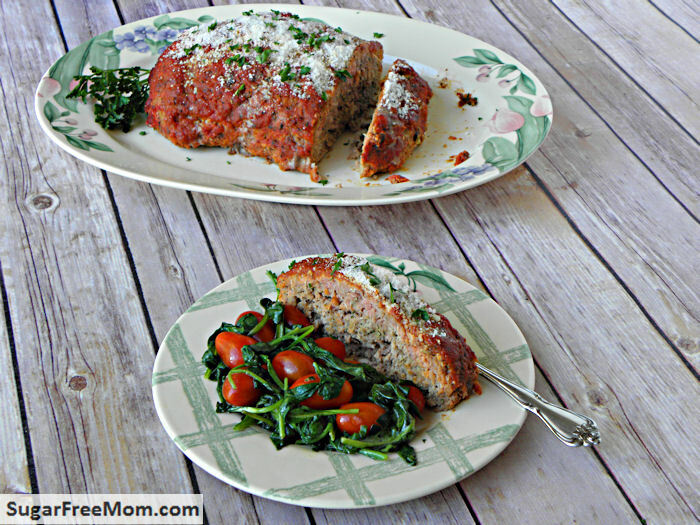 I am definitely going to try the Italian Meatloaf Recipe with McCormick! I love mccormick cinnamon!!! I love baking! Perfect Pinch® Salt Free Original All-Purpose Seasoning is a McCormick seasoning I would like to try. I use Italian seasoning a lot! And also garlic powder . We really like the Montreal Steak spice. Not only use it on beef but also on chicken and pork chops. I use the McCormick’s Perfect pinch Italian and McC’s Turmeric and the McC’s Tarragon quite a bit. I have so many of their spices in my cupboard, it is difficult to choose just one favorite! I love their Italian seasoning and I use cinnamon a lot especially this time of year. I am a big fan of Lemon Pepper! I love the stew in the bag seasoning! I love the McCormicks Mojito Lime marinade I use it to sprinkle on my chicken and shrimp, and as a marinade. I use their oregano every week with my roasted veggies. 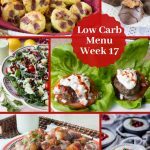 I’d love to try their slow cooker packets! Thanks! My favorite McCormick seasoning is the Mexican which adds zest to any recipe. I use the McCormick Italian seasoning the the most. We love the garlic bread sprinkle around here! I use oregano the most I guess. I do like lots of their spices. We love the slow cooker pulled pork bbq mix to make bbq pulled chicken. I really like their garlic spices and rosemary. And I want to try this meatloaf recipe. Brenda – I would be interested in trying the Perfect Pinch Mexican. These pictures inspired me to try to wilt spinach; something that typically does not appeal to me. Thanks! Italian seasoning!!!! Great for the gluten free breads! I love the “California Style Lemon Pepper” and all the Montreal seasonings, especially SPICY steak! I love Mccormicks salad supreme! Yum! 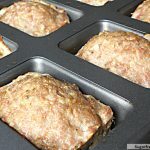 I really want to try this meatloaf recipe w the same Mccormicks you used. Sounds wonderful! I love McCormick seasonings in general. My favorite s, though would be the slow cooker & garlic ! I would love to try the Just a Pinch Mexican. I am a big fan of the Pumpkin Pie Spice. Mix it with vanilla greek yogurt and you’ve got a low fat treat that tastes like pumpkin pie. I enjoy so many of them from garlic to oregano to the nice blends. I would like to try their citrus and asparagus chicken recipe. Thanks. I love their garlic powder. I love the Chili Powder! I love McCormick’s cinnamon the best. I put it in oatmeal with Whey Low Gold and raisins, on cottage cheese with stevia and vanilla, and on buttered toast with stevia. It is also good in a cup of cocoa. I love McCormick’s Garlic Powder – a staple that every one should have! I love how much flavor the garlic powder can bring to a dish. 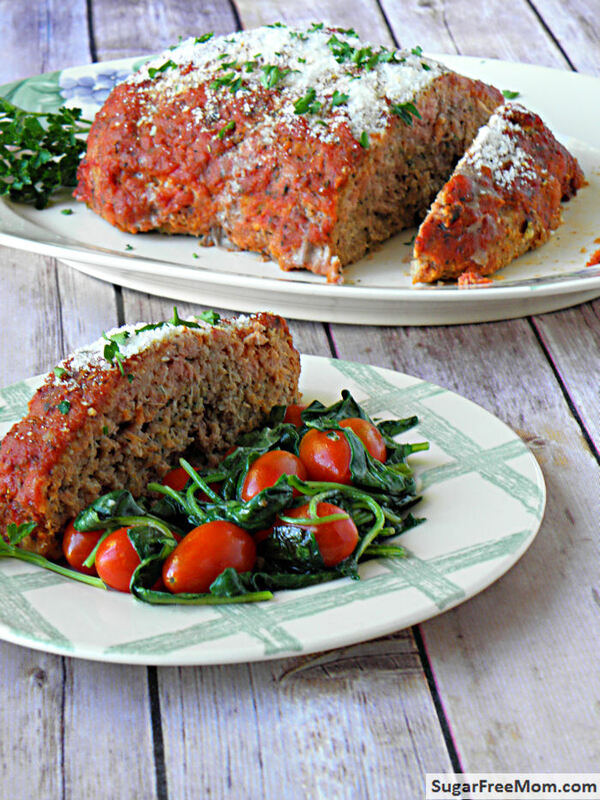 I can’t wait to try this meatloaf recipe posted…looks delish!! I use Garlic Pepper seasoning all the time – great on anything! Garlic Powder here! I’ve also used the sweet & smokey for chicken for my crock pot & it is divine!!! I love their seasonings for meatballs. oooo…perfect pinch Asian looks yummy! and so does your meatloaf! I love their Perfect Pinch seasonings. Use so very many more of them that I can’t count. One of my favorite seasonings is garlic salt and garlic powder. Is there another brand besides McCormick? I love all the McCormick seasonings. I use the cinnamon about every day. I love all of the Perfect Pinch seasonings. Use on just about everything!! My favorite is the cinnamon. I love adding it to my oatmeal in the morning I also put a little peanut butter in it and it is so good together. These look like they all would be fun to try . I really like McCormick’s lemon pepper seasoning. Brenda — About how many please, would this serve, and do you have nutrition info per serving? It sounds great and so easy! Thanks! I can’t wait to try this meatloaf. My husband loves the Italian seasoning. We started both of our family’s using McCormick Perfect pinch-salt free varieties. Now they won’t use anything else. My husband and I both love the McCormick Hamburger seasoning the best, though. We constantly make hamburgers for my husband and turkeyburgers for me! Yummy! I love the McCormick garlic powder. It just adds so much flavor. I love cooking with spices. We love McCormick’s spices, Nothing quiet like a good bowl of Chili made with McCormick’s Chili spice. My favorite is McCormick steak seasoning – delicious! I have been crazy for CUMIN lately. I don’t know why. I’ve been making everything sort of quasi Mexican in flavor. YOU’ve won the McCormick gift pack!! Please reply via email, thanks! Replying to you now, thanks so much! I’m a sucker for cardamom. Love their oregano but want to try some of their slow cooker pouches! Also, can’t wait to try this meatloaf! I use several of the McCormick brand spices but probably get the most use out of the ITALIAN & CINNAMON. I am really looking forward to trying your meatloaf recipe. Love McCormick’s garlic powder, add it to so many dishes, i have always have it in my spice cabinet! I want to try some of the seasoning packs as I do cook a lot of crock pot meals. Thanks for the meatloaf recipe, need to try that one soon. I would love to try the Italian seasoning in a meatloaf too. It looked delicious and I could make it and then freeze the leftovers. I use garlic powder and onion powder in just about everything that I make. I would also like to try the crock pot seasonings too. I really enjoy a lot of McCormick seasonings, herbs and spices. I particularly love anything with garlic in it! I use garlic powder and garlic salt a lot. I use their minced garlic, chopped garlic, minced onion, chopped onion, garlic & pepper, lemon & pepper (fish mostly), ground black pepper, crushed red pepper flakes, etc. As a Portuguese cook, I use paprika, bay leaf, pimento, cumin, ginger, thyme, rosemary etc. McCormick is what my mother used, and it is what I use. I love making home made popcorn and using the McCormick lemon and pepper seasoning, it’s addicting! My husband and i both are a fan of the garlic !! 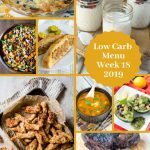 Hes coming home from Afghanistan and i been searching for new recipes to make for him he loves mexican food so the mexican seasoning looks delicious so many things you can do with it ! My go to for as long as I can remember has always been McCormick taco seasoning. Tacos just don’t taste the same without it! I can’t wait to try this meatloaf recipe! I love McCormick Turmeric!!! My whole family is a bunch of garlic lovers 🙂 McCormick garlic is the best! There are so many but i’m thinking that I use the Chicken Gravy and Beef Gravy packages the most. 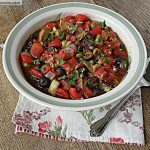 I like to use those in my crock pot with a cheaper cut of meat to make it flavorful and oh so tender! Love McCormic! My favorite spice is the pumpkin pie spice. I love anything pumpkin and this is the perfect time of the year for it ! However, we are garlic lovers – so that is another favorite! 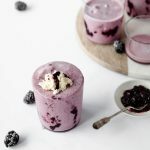 I just found your site and these recipes look delicious. That meat loaf is going to be a must try here on one of these cold days! I’d love to try any of those “perfect pinch” spices. They look intriguing!